On Saturday April 14th, 2013 my friends and I were out on another day trip on our quest to visit all 93 state parks. 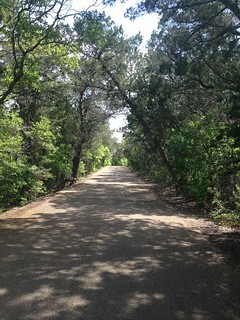 Originally we planned to do Colorado Bend State Park and then head to Abilene State Park. We spent a little too much time enjoying the treasure that is Gorman Falls and were forced to change plans. Our detour led us to Mother Neff State Park. We headed to Belton from Lampasas, crossed over Lake Belton a couple of times and found ourselves at the first official state park of Texas. 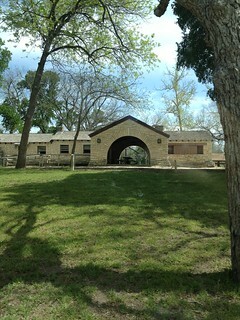 Like many of our state parks, Mother Neff has its own unique history. We got a map at the temporary headquarters and headed to the trails. The park ranger at the office informed us that there will be a permanent headquarters opening soon so keep an eye out for sign directing you to the correct location if you head out to the park. The park only covers about 25 acres so we were able to hike all of the trails in about 30 minutes or less. Even though it is small, the park has its treasures that need protecting just like most other parks. 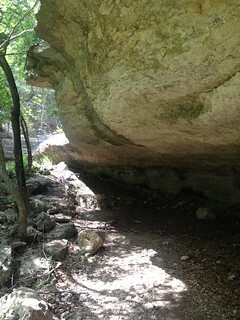 The first trail you encounter will take you to the cave that the Tonkawa tribe used as cover during buffalo hunts. The next trail will take you back to the rock tower near the temporary headquarters. The third trail will take you to both the prairie and the river basin and pond. Take the right fork to see the river basin and head to the cave. Take the left fork to head to the prairie and see the numerous wildflowers. The park was a CCC project back in the 1930s and there are still numerous buildings standing from that time. When the CCC starting clearing land and excavating sites they found at least 3 Native American burial sites. I didn’t see where the sites were or even if they are marked. The CCC buildings appear to be in good condition. Those guys really did a great job of constructing long-standing structures. Overall Mother Neff State Park was a beautiful park with lots to offer to every one who visits. I recommend it for a quick secluded hike. Join the park ranger for a guided tour on Saturdays from 2-3 pm.